Natalya attends the WWE SmackDown live show at The O2 Arena on May 9, 2017 in London, England. WWE superstar Natalya pinches herself to know it's real. In less than 24-hours she will compete in the first-ever women’s Money in the Bank ladder match at the SmackDown Live event of the same name June 18 on Pay-Per-View and WWE Network. It’s another milestone for the Total Divas star, who has worked for every opportunity given to her over the course of more than a decade with the company. The driven,third generation performer is ready for a landmark evening that will further shine a spotlight on women’s wrestling. “Without giving too much away, myself and everyone involved are determined to steal the show,” Natalya said. “We have every intention of doing that…it’s historical. I was part of the first-ever women’s tables match in 2010 with Beth Phoenix, Michelle McCool and Layla. I remember wondering how I would wrestle around a table. It was hard to wrap my head around what we were doing there. The Bella Twins have taken the platform of WWE and 'Total Divas' to build a brand all their own. When Shane McMahon made the announcement on SmackDown Live, social media was abuzz with support pouring in from fans and those within the industry. For the “Queen of Harts,” it shows the faith WWE has in its women. Along with studying tape, Natalya has training sessions working with ladders. She finds one of the fun parts about the match is actually the preparation for it. “A few days ago I worked with ladders for six hours,” Natalya says. “I’m not going to even tell you how much my body hurts. I thought my body hurt deadlifting and doing all my powerlifting. I’ll tell you one thing. If you want a good workout, then start lifting ladders. I’m still really sore. Then I woke up the next day with all these bruises. I realized it was from lifting the ladder. They are really cumbersome. It’s not like WWE is saying, ‘You are girls, so we are going to give you the smaller ladder.’ No, we are lifting the same ladders as the guys do. I feel like all the work in the gym has been paying off. These days Natalya has found there to be strength in numbers. After Money in the Bank opponent Charlotte was drafted to SmackDown Live, she formed the Welcoming Committee with other Money in the Bank opponents Tamina and Carmella and her onscreen beau James Ellsworth. 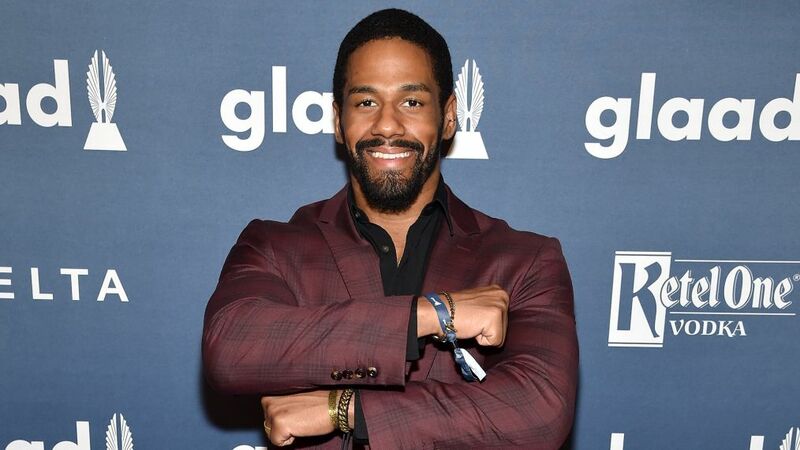 Darren Young talks about his dedication to community service, the current landscape of WWE and when we might expect a return to the ring. The veteran wants to see every girl try to be the best. She thinks a lot of the women who share the same passion and sentiment are in the Money in the Bank. “Every girl is a contender,” she said. “Tamina is one of the strongest, toughest women I have met in my entire life. She is just tough, and mentally tough, too. Becky Lynch is like the little engine that could. She is the underdog that takes a licking and keeps on ticking. Charlotte Flair is one of my all-time favorite adversaries I’ve been in the ring with. Any chance I get to be in the ring with her, she and I are like two lions battling it out and bringing us to the top of our game. Then there is Carmella, who has proven herself on the main roster. She proves she can hang. I’ve been in the ring with her and against her. She throws a powerful punch." The momentum continues for women’s wrestling with the first-ever Mae Young Classic women’s tournament set to take place. The competition featuring 32 talents from around the world will unfold on the WWE Network later this summer. As a lifelong wrestling fan, Natalya is excited to watch. “We were talking about it to Triple H the other day, and I really want to go to it,” she says. “It’s also funny to note is that my grandfather was very close to Mae Young. I had a really strong relationship with Mae Young, too. My whole childhood growing up my grandfather would say that Mae Young may be the toughest lady wrestler he ever knew. He would always call her Johnnie Mae. Johnnie Mae was a shooter and would go at it with the guys. She was the real deal and one of the best." Natalya is grateful for the fans that have come from being on Total Divas for six seasons. She takes pride in the WWE reality series on E! because at its core the over-arching message sent is female empowerment. The popularity of the show gave way to Total Bellas, chronicling the lives of the Bella Twins and their family. This begs the question if we will ever see a spinoff featuring Natalya. Maybe Completely Nattie? “I don’t know who wouldn’t want to watch my dad, the Anvil, up close and personal,” she says. “The Bella Twins have such a unique dynamic. They are almost like a little dynasty with Nikki with John [Cena] and Brie with Daniel [Bryan]. Then you have John Laurinaitis in there. So they definitely have the dynamic to pull off a Total Bellas. Another thing Natalya would love is climbing the ladder and securing the Money in the Bank briefcase to earn a future championship shot. It would be one small rung step for woman and one giant leap for womankind.